PennsylvAsia: Chinese-language play Ivy League Dream in Wexford, April 7. 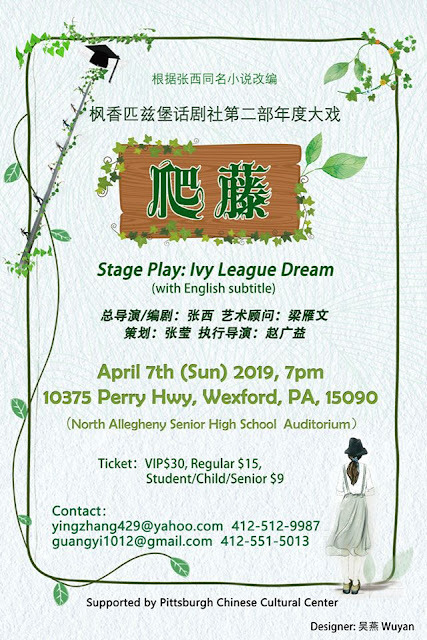 Chinese-language play Ivy League Dream in Wexford, April 7. 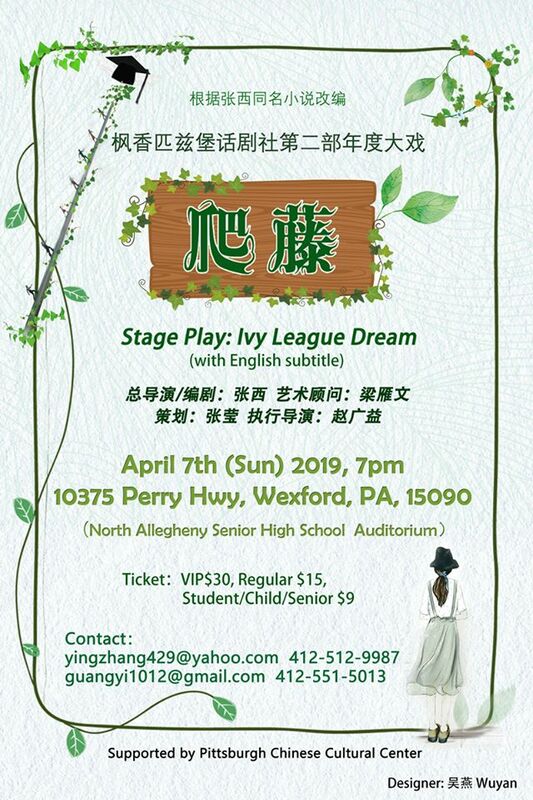 The Pittsburgh Chinese Cultural Center will present the play Ivy League Dream on April 7 at North Allegheny Senior High School in Wexford (map). The show starts at 7:00 pm and will play with English subtitles. Tickets are available by contacting the email addresses on the flyers above.